Not sure what you want to cook the family for dinner this week? Each Monday I will share my families weekly meal plan and other recipes to help inspire you. I make easy family-friendly recipes that aren’t too complicated for busy nights and I know that the kids will enjoy. ARE YOU ON INSTAGRAM? – If you make any of these recipes, please share a photo, tag @theorganisedhousewife and add hashtag it #TOHDinners – I’d love to see what your cooking! Steak, mashed potato and vegetables – a quick and easy dinner. 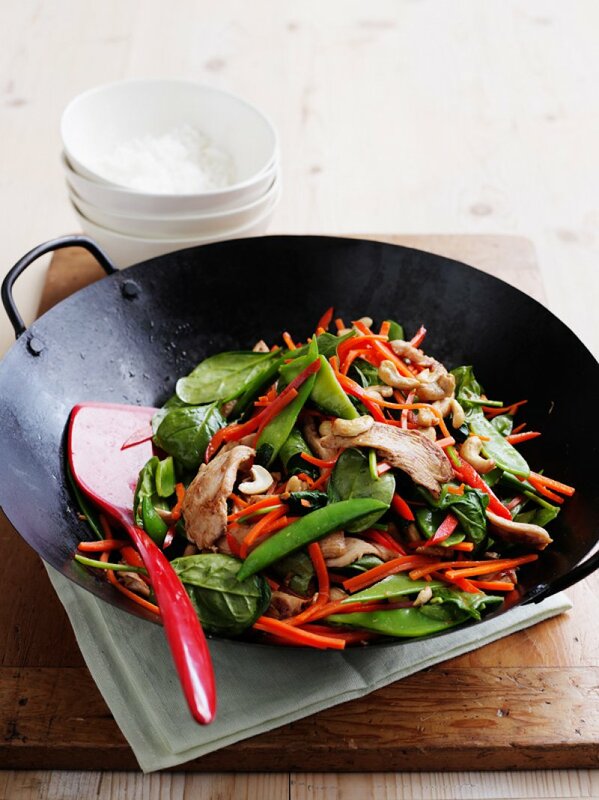 Honey Soy Chicken Stir Fry – This delicious stir fry includes plenty of crunchy veggies. Find this Honey Soy Chicken Stir Fry recipe here. 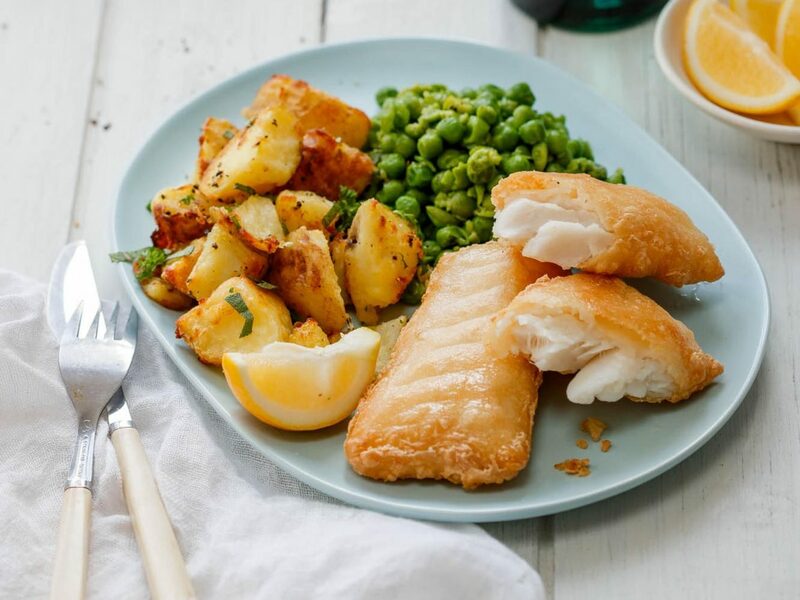 Frozen fish fillets with steamed vegetables – I get this pack of 6 Hoki fillets as it’s enough to feed our family of 5. 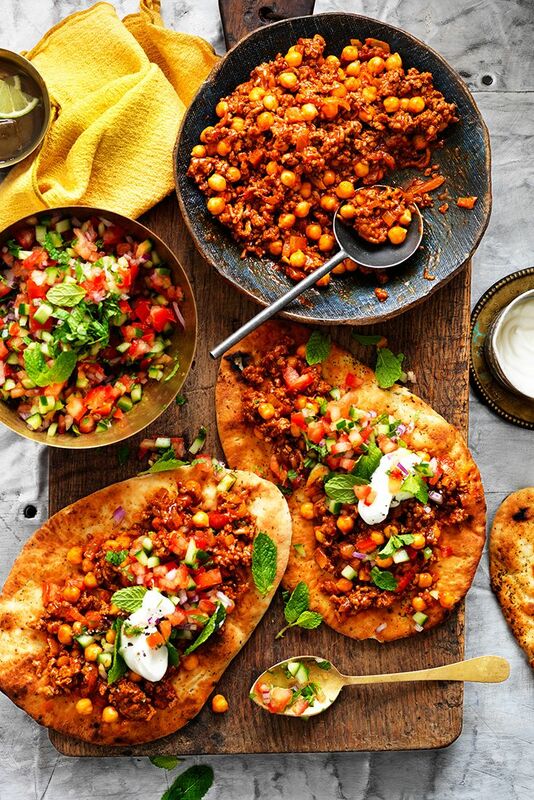 Beef Mince and Chickpea Curry – This mild curry can be served with salad and naan bread. Find this Beef Mince and Chickpea Curry recipe here. Homemade Pizza – using left over Beef Mince and Chickpea curry with spinach and diced tomatoes + another pizza with left over deli meat not used for lunches during the week. 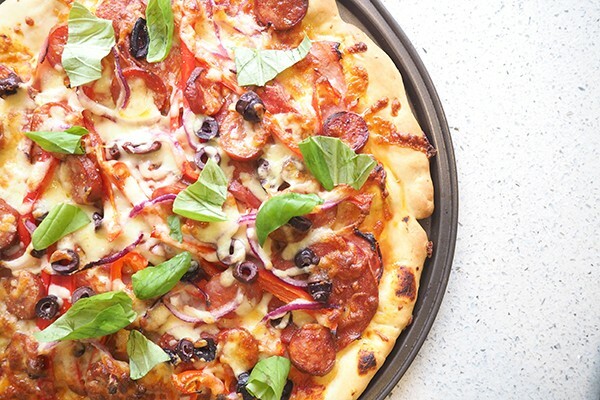 Find more homemade pizza topping ideas here. 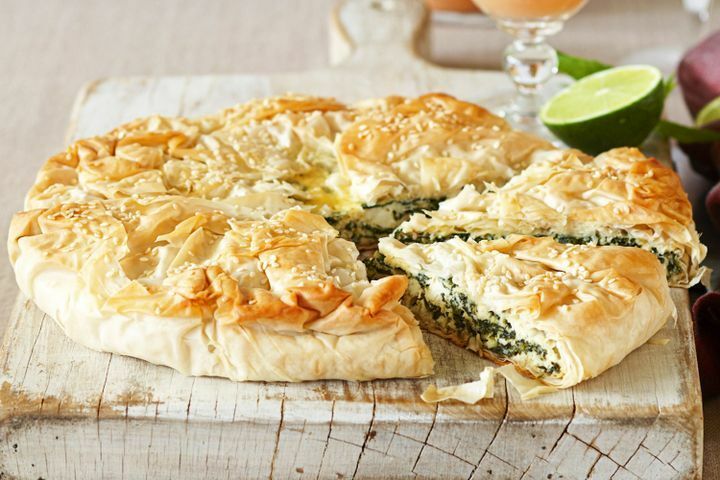 Spinach torte –This delicious spinach torte with spring onions, baby spinach leaves and fresh ricotta is perfect for entertaining on the weekend. Serve with bbq meat and salad. Find my Spinach torte recipe here. 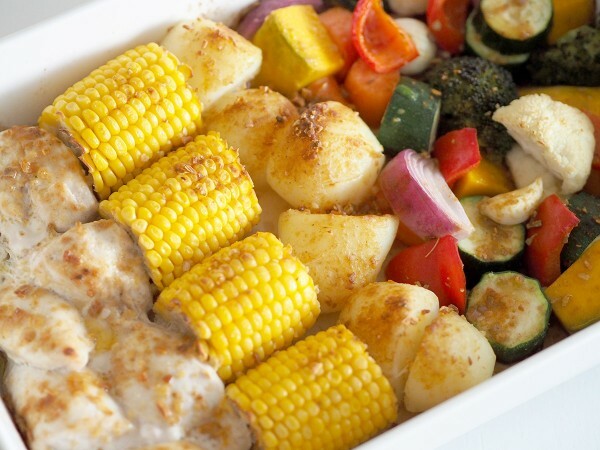 One dish roast chicken and vegetables – A delicious dinner the family will enjoy, fresh roast vegetables with chicken. Cooked in one dish so you don’t have to do a lot of washing up! Find my one dish roast chicken and vegetable recipe here. Apricot Almond Slice – This recipe has a delicious oat and apricot base, topped with a not too sweet mix of white chocolate and coconut oil. 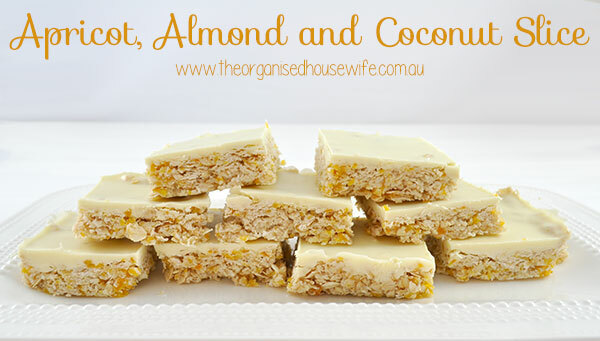 Find my Apricot Almond Slice recipe here. 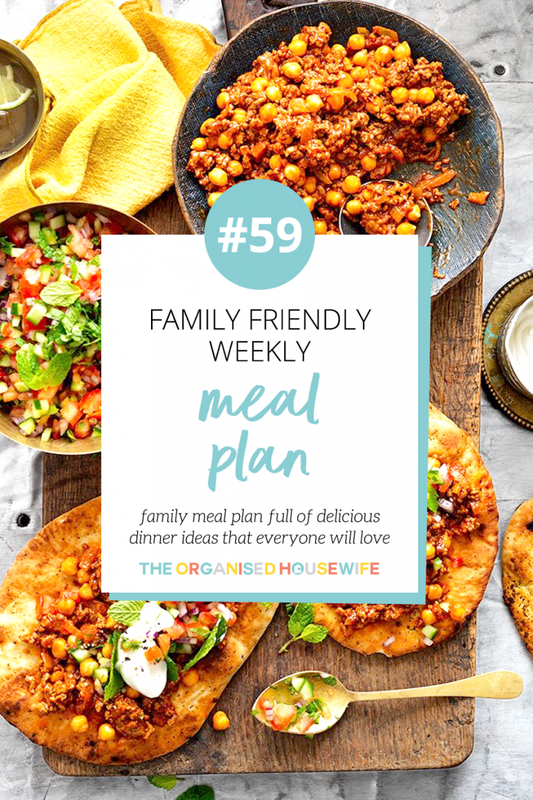 I would truly love for you to share your family’s weekly meal plan in the comments below (email me photos too if you wish), I’ll pick one to share every few weeks instead of mine as it’s good to get variety and share what other families eat too!